After a long wait, finally, India's first Android Oreo Go edition smartphone, Lava Z50, has been launched. The smartphone has been priced at Rs 2400 and sells under the slogan 'Mera Pehla Smartphone' Programme by Airtel. The phone can be purchased through more than 1,00,000 retail stores. The device is also available on e-commerce websites including Amazon, Flipkart and Snapdeal, Lava revealed. The price of the device is Rs 4400 but the device is being offered with Airtel cashback offer of Rs 2,000. The device comes in two colour options, Black and Gold. The Airtel cashback offer brings down the effective price of the device to Rs 2400. 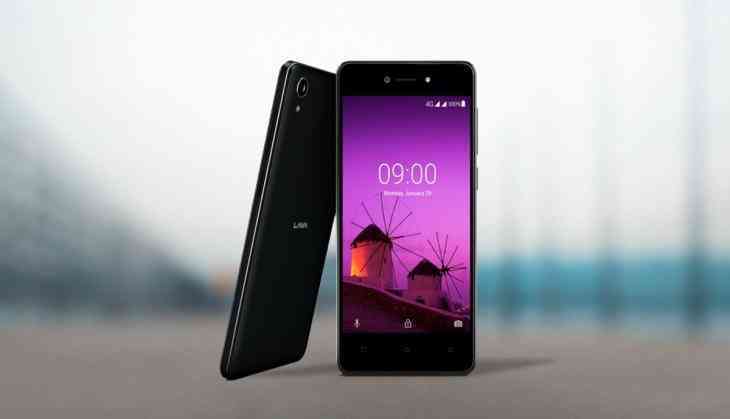 First unveiled at the Mobile World Congress 2018 in Barcelona last month, the dual-SIM Lava Z50 runs Android 8.1 Oreo (Go edition) and sports a 4.5-inch display with FWVGA (480x854 pixels) resolution with 2.5D curved Gorilla Glass on top. Lava Z50 comes with a quad-core 1.1GHz MediaTek MT6737m processor, supported with 1GB of RAM. It sports 5-megapixel rear and front camera sensors with LED flash support. Both camera sensors also support Bokeh Mode to blur the background to highlight objects in focus. Furthermore, there are camera features, including Face beauty, Funny Cam, HDR, Super Night, Video Beauty, Filter, Template and Panorama. The phone is compact and light in its composition and weight. Lava has provided 8GB of onboard storage on the phone that can be expanded via microSD card. The smartphone has FM radio, Wi-Fi, Bluetooth, GPS/ A-GPS, and Micro-USB and packs a 2000mAh battery with Super Power Saver Mode. Besides, it measures 135x66.6x9.7mm and weighs 140 grams.